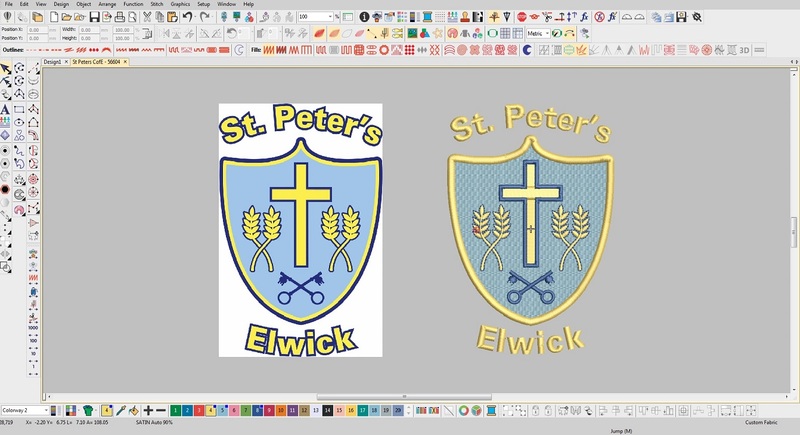 We offer a competitive Digitizing service. Designs can be supplied in most formats including domestic .dst .hus .pes etc. Estimate stitch counts are F.O.C. Simply E Mail your artwork preferably in .jpg format. Showing colour changes. Tell us what material the design will be sewn onto and state the finished size, and format required. IN ALL CASES E Mail FIRST...We will get back to you with charges, order form etc. We Digitize for you as we would for ourselves. When ever possible we try to put life into the design. E.g. Dogs hair will look like Dogs hair. Not just filled with flat looking fill stitches. We can normally re digitize your bad design to a high quality. We will resize any of you existing designs at . £4.00 per design ,and only charge if we are happy with the end result. We will change your designs from one format to another. E.g. Melco condensed (.cnd) to Tajima (.dst) at £2.00 per design. E Mail first your format request and we will get back to you to let you no if we can do it before you send the design.